Exporting your calendar lets you have your calendar on the programs and devices you you want and also allows you to share your calendar with someone else. 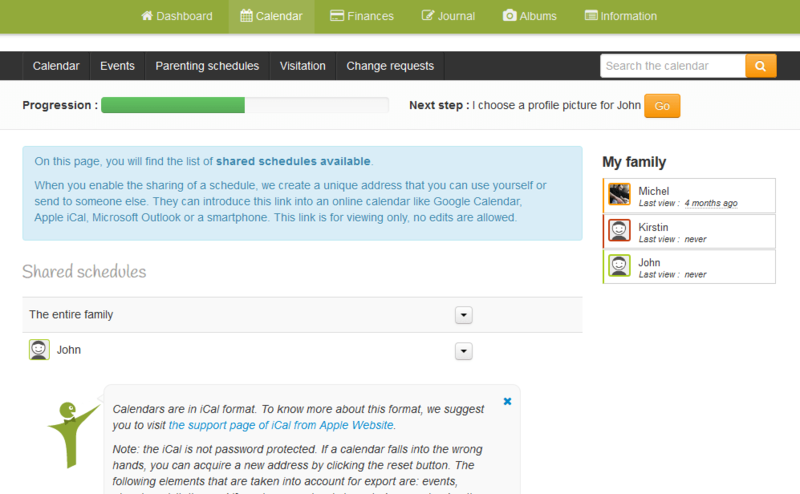 1) First, click on “Calendar” in the upper menu, then click on the “Share the schedule” icon. You will find more details on synchronization with a smartphone here. Calendars are in iCal format. To learn more about this format, we suggest you visit the support page of iCal from Apple Website. That’s all that’s to it! You have shared your calendar! It’s that easy! Keep in mind that when you edit your calendar in 2houses, the changes will also happen automatically everywhere you or someone else added the address.